There may be occasions when any of your close friends or relatives ask you to be a Guarantor for taking any loan-be it for housing or personal or vehicle loan. Becoming a guarantor means that you are giving guarantee that if the borrower fails to pay, you stand to pay the outstanding dues. Becoming a guarantor or co-borrower is huge responsibility. Before agreeing, carefully consider if you are willing to be a guarantor, and if you can cover the loan yourself if necessary. 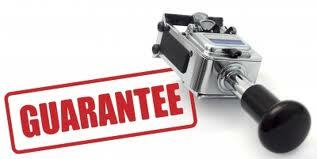 A guarantee is a legal contract that binds you to pay the debt of the borrower if the borrower fails to do so. The financial institution can sue you when the borrower does not pay back his/her debt. Financial institutions may require guarantees to enhance the credit standing of prospective borrowers, thus enabling them to obtain financing. Too many people believe that the friend or relative that you guarantee will never do anything to make the lender enforce the guarantee against you. The reality is that your friend or relative may suddenly find they cannot meet the repayments of the loan because of some situation (such as illness or unemployment etc.) and the onus will be on you to pay up. The bank or the financial institutions can sue you if required in case of default of the borrower. Be very clear on your obligations as a guarantor before you sign on the dotted line. You seek clarification or explanation on any of the terms of the guarantee, if in doubt. If necessary, seek legal advice before signing. In considering whether to act as a guarantor for a person or party, general view is that you should never guarantee payment for more than you can afford and should never put your home or assets at risk.